The First Reconciliation and First Communion sacramental preparation programs are open to all children 2nd grade and older. The greatest preparation to receive the sacraments, and to help grow our faith, is to attend Sunday Mass regularly. We would also like the children to be enrolled and attend faith formation classes at Our Lady of the Black Hills. Parents are expected to lead their children in the sacramental preparation by using the child's workbook and accompanying family guide provided by Our Lady of the Black Hills. 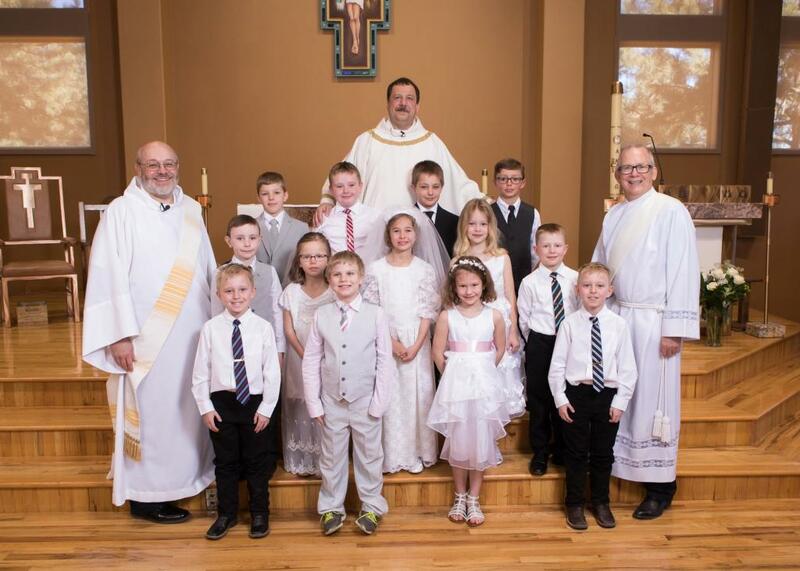 In order to support families in the sacrament preparation of their children Our Lady of the Black Hills parents and children are asked to gather together for a Reconciliation Retreat, Eucharist Retreat, and a First Communion Practice Session. Please contact Rhonda in the office for more information at rhonda.gehlsen@olbh.org or 605.787.5168. We encourage children to attend one full year of Faith Formation prior to enrolling in First Eucharist preparation. All children must participate in the Sacrament of Reconciliation and Penance prior to receiving the Eucharist. Parents must provide a certificate of Baptism prior to receiving the sacraments of the Eucharist or First Reconciliation.